HILLARY HAD BILL’S TOP ADVISOR RUNNING HER ILLEGAL SERVER……. – The Tundra Tabloids……. 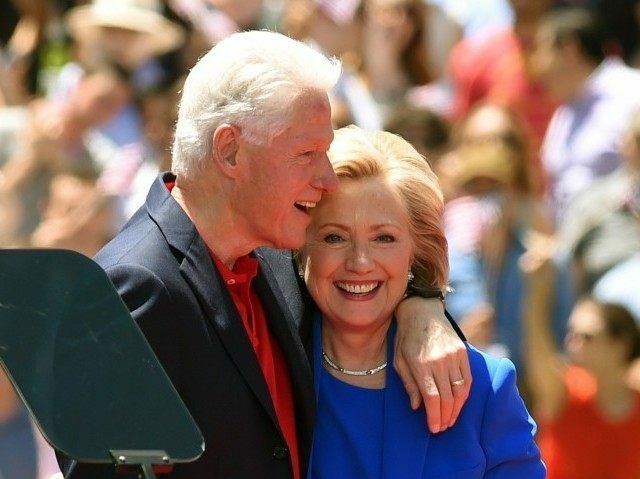 For the hiding of foreign cash funneled to Bill’s foundation while she was sec-state. The Clintons, as well as the DNC in general (I’ll include GOP RINOS as well) are a highly corrupt batch of politicians and operatives that work against the American people for their own aggrandizement. It’s going to take an army of investigative steam shovels to ply away at the web of treachery the political ruling elite have laid over the many decades. Former president Bill Clinton’s senior adviser ran the private email network that Hillary Clinton used to conduct official government business when she was Secretary of State, Breitbart News has learned. Cooper was listed as the registrant as recently as January 30, 2013. Thus, Clinton paid“Perfect Privacy, LLC,” a company that takes over registrant duties and enters its own meaningless Florida contact information into domain databases to hide the true owner, after she left the State Department. Cooper also registered the domain presidentclinton.com, which was used by top Clinton Foundation staffers. NOTE: They never even doubted for a moment that they couldn’t get away with it, since no one from the GOP side of the aisle have managed to make a dent in Obama’s facade, despite all the heavy evidence that could have derailed past presidents. Previous Post Previous Post HILLARY EMAIL-GATE SCANDAL: SID (FATHER OF MAD MAX) BLUMENTHAL EXCHANGED ANTI-ISRAEL MAIL WITH HILLARY…….